This entry was posted on Thursday, July 26th, 2018 at 12:00 pm	and is filed under Porcelain Veneers, Teeth Whitening. You can follow any responses to this entry through the RSS 2.0 feed. Both comments and pings are currently closed. This entry was posted on Wednesday, December 20th, 2017 at 11:26 am	and is filed under Porcelain Veneers. You can follow any responses to this entry through the RSS 2.0 feed. Both comments and pings are currently closed. Your smile speaks volumes about you. A wide, full smile usually tells others that you are open and friendly. A pursed, straight-line smile typically indicates that you are shy and closed off. Healthy, clean teeth are the mark of someone put together and organized. 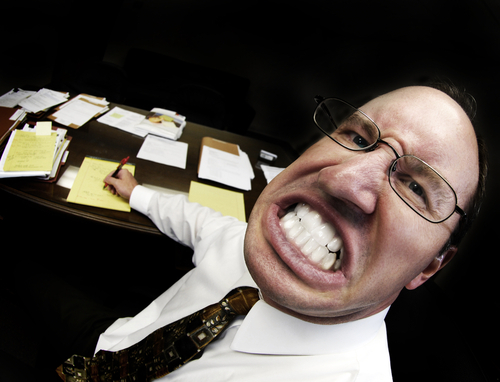 Have you stopped and taken a second to consider what your smile is saying about you? If it’s not very positive, chances are that your teeth are to blame. 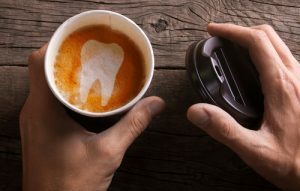 Your morning coffee and that glass of wine at dinner, while making you extremely happy, are staining your teeth. Discolored teeth can age you and make you appear unattractive. 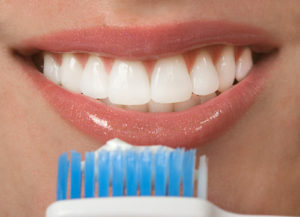 It is important to maintain a regular cleaning routine to keep your pearly whites, well, white. 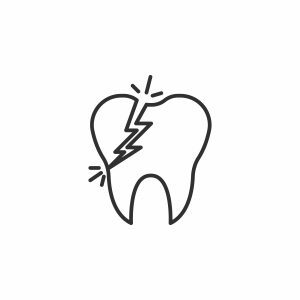 Only pro hockey players can pull off chipped or broken teeth, and that’s because they have the amazing story to explain it away. For the everyday person, chipped and broken teeth create an unbalanced smile. 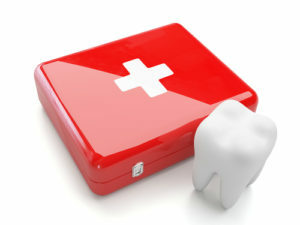 Tooth decay can cause your teeth to become weak and break easily. So, even if your tooth loss is due to an accident, people may take it as a sign that you don’t have the best oral hygiene. Talk about embarrassing. Gapped and crooked teeth throw off the uniformity of a smile. In regards to beauty, balance and symmetry are very important for creating an appearance that is attractive to the eye. Gaps and crookedness that create an asymmetrical look can affect how appealing your smile is. It can’t be stressed enough that a daily, thorough oral regimen will help by leaps and bounds in providing you with an attractive smile. 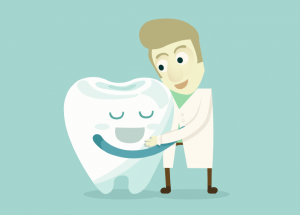 Healthy teeth are the most important part of a smile. But even if your teeth are healthy, they may not be aesthetically pleasing. Sometimes it’s impossible to fight discoloration and the fact that you are sporting a huge front gap. Brushing certainly isn’t going to bring back a chipped tooth, and it can be embarrassing living with unattractive teeth. Luckily, you don’t have to. 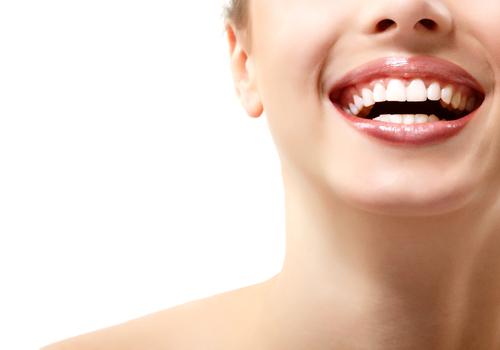 You can reclaim your beautiful smile with the help of porcelain veneers. Porcelain veneers are thin, shell-like sheets that cover the outside of damaged teeth. They require little alteration of the existing tooth structure and become very strong once bonded. Veneers can last over 15 years with good detail care. If your teeth could use a little improvement to give you a gorgeous smile, see how porcelain veneers can help you. 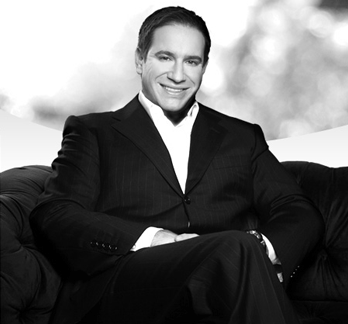 Set up your consultation with Dr. Kevin Sands to discuss your options today! Call 310.273.011 or fill out our online contact form here. This entry was posted on Tuesday, February 17th, 2015 at 7:43 pm	and is filed under Cosmetic Dentistry, Dental Problems, Porcelain Veneers. You can follow any responses to this entry through the RSS 2.0 feed. Both comments and pings are currently closed. 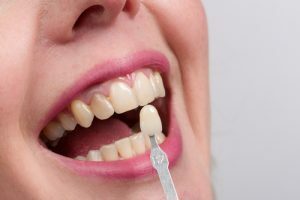 There are many different dental procedures to whiten, straighten, and otherwise improve a person’s smile, but there is only one procedure that will treat almost all aesthetic problems: porcelain veneers. Whether your teeth are discolored, stained, chipped, broken, gapped, or crooked, porcelain veneers will correct your concern. Although porcelain veneers are not often solely used for superficial concerns, such as discoloration and stains, they can whiten the smile if desired. Patients usually have a more prominent issue to correct and choose to have the veneers customized for teeth whitening in addition to closing their gaps or camouflaging a broken tooth. Since veneers are often placed on the front six or eight “smiling” teeth, they can make the smile look naturally whiter without the need to whiten the surrounding teeth. If the patient is only getting a few veneers placed and they would also like a brighter smile overall, Dr. Sands will recommend teeth whitening prior to placing the veneers. Since veneers are thin sheets of porcelain that fit over the front of the tooth, they can disguise virtually any imperfection. A single veneer is a great option to disguise a chip or crack in the tooth. Dental bonding is an alternative to fixing chipped teeth, but bonding can stain over time and will likely need to be replaced after several years. Porcelain veneers are very strong, durable, and resistant to staining. They can last up to two decades without the need for repair or replacement. Invisalign and braces may straighten crooked teeth, but they cannot change the shape or length of the teeth like porcelain veneers can. Patients with “gummy” smiles can have their teeth instantly lengthened to provide a more balanced appearance to the smile. Teeth that are sharp and pointed are also instantly corrected for an even more beautiful result. The shape of each veneer is customized so that they can fit the natural tooth, closing any gaps and camouflaging any other imperfections. Porcelain veneers are truly an all-encompassing solution for those who desire a complete smile makeover or for those who have more than one concern about the appearance of their smile. If you are interested in this procedure, please schedule a consultation with Dr. Kevin B. Sands by calling (310) 273-0111. You may also conveniently fill out our online contact form for more information. This entry was posted on Thursday, July 10th, 2014 at 5:10 pm	and is filed under Cosmetic Dentistry, Porcelain Veneers. You can follow any responses to this entry through the RSS 2.0 feed. Both comments and pings are currently closed. Should I Get Veneers or Caps? 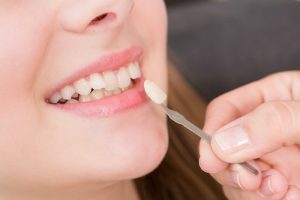 Although porcelain veneers and caps (also called crowns) are somewhat similar dental treatments, they serve different purposes. The best choice between the two will depend on the needs and desires of the patient. 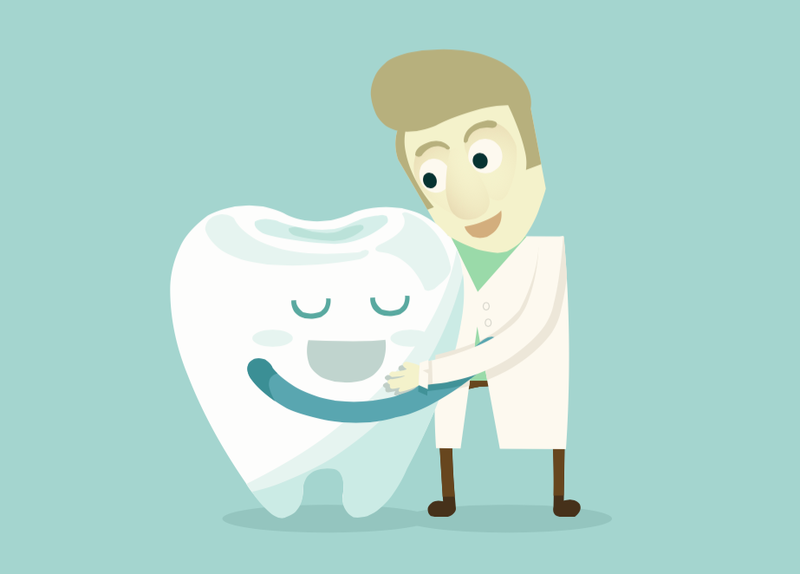 Veneers and crowns both require part of the natural tooth to be altered in order to be bonded to it. Because of this, both are considered permanent treatment options. Typically, veneers are used for aesthetic reasons only on the front, “smiling” teeth. When a patient would like to correct the shape or color of their teeth, veneers make an excellent choice. Usually made of porcelain, veneers are formed into the thickness of a contact lens and are bonded to the natural tooth to disguise teeth that are crooked, cracked, broken, or discolored. The porcelain material looks, feels, and functions just like a natural tooth. 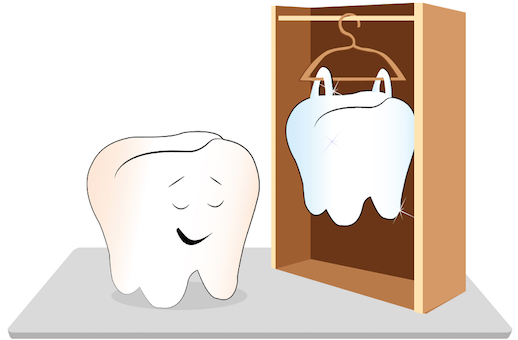 For veneers, about 0.1 to 0.5 millimeter of the tooth’s enamel is etched away. Although this is a small amount, it will permanently alter the appearance of the tooth, and it will not look the same without the veneer attached to it. Crowns are most often used in cases where much of the tooth structure is missing, which can be caused by tooth decay, root canal therapy, or accidental breakage. 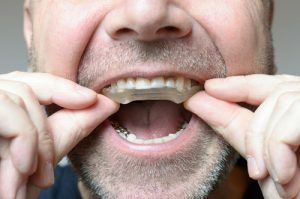 Since crowns are usually applied to posterior teeth, they are available in both natural-looking porcelain as well as less expensive materials that do not match surrounding teeth, such as gold, nickel, or chromium. 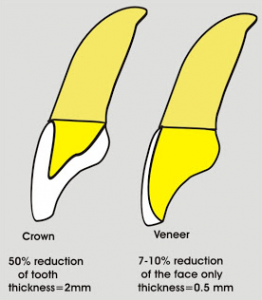 Unlike veneers, crowns cover the tooth on all sides and require more of the natural tooth to be etched away. Although crowns can achieve all the aesthetic purposes that veneers can, they should only be used if absolutely necessary. 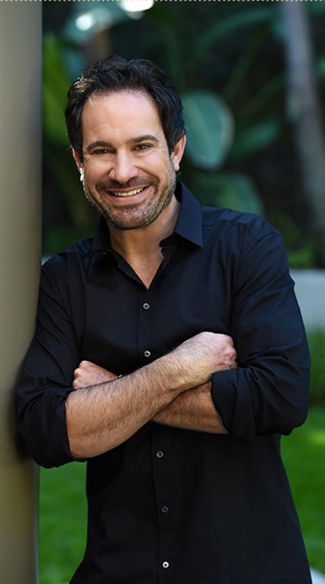 If you are considering porcelain veneers or caps in the Beverly Hills area, celebrity cosmetic dentist Dr. Sands can help determine which treatment is right for you. 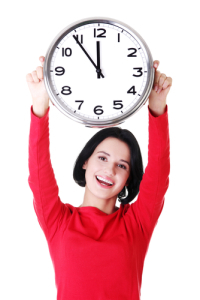 Please schedule a consultation today by calling (310) 273-0111 or filling out our online contact form. This entry was posted on Thursday, November 21st, 2013 at 1:22 am	and is filed under Cosmetic Dentistry, Crowns, Porcelain Veneers. You can follow any responses to this entry through the RSS 2.0 feed. Both comments and pings are currently closed.